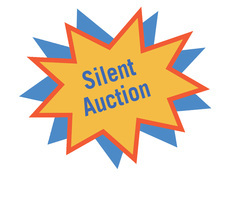 Silent auction item will be awarded to the highest bidder for that item.All All items must be claimed by 10:30 AM on Wednesday, June 21st or the item will be awarded to the next highest bidder. Help make this year’s silent auction a huge success by donating a souvenir, keepsake gift or novelty item, or by bidding on any item in the auction. Have fun and show your support - all auction proceeds benefit the AFDO Scholarship Fund! Packages cannot arrive before Wednesday, June 14th, 2017. The silent auction donations are used to fund our three undergraduate scholarships. These awards are presented to deserving students who are in their third year of college and plan to serve through a career in research, regulatory work, quality control or teaching in an area related to some aspect of foods, drugs or consumer product safety. Disclaimer: The silent auction is organized by AFDO and not endorsed in any way by the FDA.